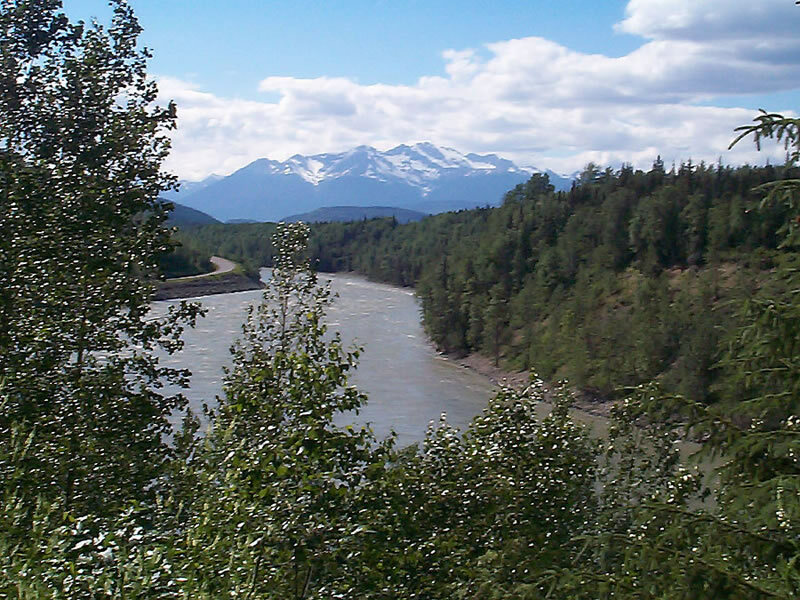 Skeena River Photos - Skeena River east of Terrace, B.C. Taken from Yellowhead Highway 16, between Hazelton and Terrace B.C. looking downriver towards Terrace. Photo taken in July, 2002. Photo and Web design by Elaine Fleischmann, Terrace B.C.